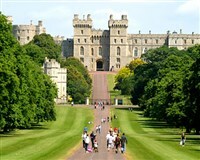 Enjoy a fabulous five day holiday based close Windsor and packed with inclusions to make a memorable holiday. Whilst in Wonderful Windsor we have included a Sail along the River and entrance to the magnificent Castle, well also be heading to Oxford and into London to enjoy some free time and a cruise along the Thames with lunch included. Wonderful Windsor, is there a better way to arrive in this Royal Town? You will then have the remainder of the day free to explore and entrance to the spectacular Castle is also included. EXCURSION 2: A morning visit to the shopping village at Bicester is following by free time in the City of Dreaming Spires  Oxford, relax along the river or maybe join one of the many historical walking tours. EXCURSION 3: Into London today, we enjoy a sightseeing cruise along the Thames taking in all of the sights whilst enjoying a delicious lunch on board. Free time for independent sightseeing is given following your sail.